The 10 Best RV Trips To Take In Arkansas - Must See! Arkansas might not be the top of your RV travel bucket list, but if you love the Great Outdoors then Arkansas is the place to be! With many incredible state and national parks, Arkansas is home to five different mountain bike trails that are rated “Epic” by the International Mountain Bicycling Association so don’t forget to pack your bike in your RV rental. For centuries people have been coming to Arkansas’ many hot springs for medicinal reasons. After President Andrew Jackson declared Hot Springs, Arkansas as a federal reserve in 1832, Hot Springs became a spa town. Today, you can visit many of these historic sites and bath in the famous waters in the Hot Springs National Park. 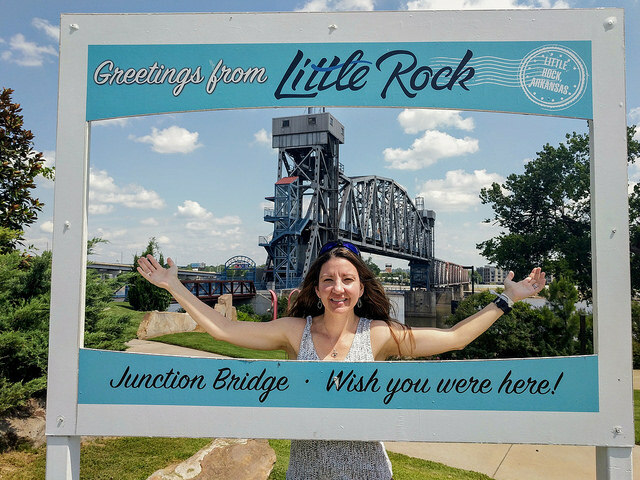 There is a lot of amazing activities and beautiful places to see in Arkansas and that’s why we put together this awesome free Arkansas RV trip guide to help you with your Arkansas RV trip itinerary. From the hot springs to the Ozark’s, we got you covered on all the must-see Arkansas RV trip ideas. While Yellowstone National Park is technically the first National Park in the United States, Hot Springs National Park is the oldest federal reserve in the country and only became a National Park in 1921. The Hot Springs National Park is home to 47 hot springs that originate from Hot Springs Mountain at an average temperature of 143 degrees. It’s only national park is mandated to give away its primary natural resource to the public in its natural state for free. Drinking the hot springs water is highly encouraged! In fact, for centuries people have come to Hot Springs, Arkansas to bath in the hot springs as it is believed that the water has medicinal properties. 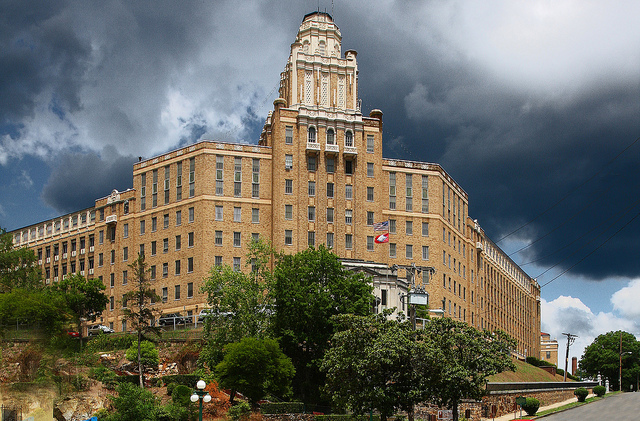 The historic town of Hot Springs is a fun place to explore for a few days and you certainly don’t want to miss a soak in the pools at the Quapaw Baths and Spa. The Hot Springs Mountain Tower offers outstanding views of the Ouachita Mountains and surrounding areas. Hot Springs National Park KOA is just minutes away from Hot Springs National Park and the historic downtown of Hot Springs. 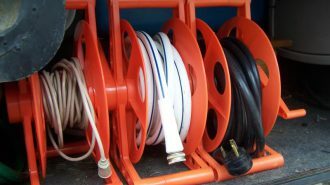 With RV sites that fit rigs up to 70-feet long and full hookups, staying here is a no brainer. The Ozark National Forest covers over 1.2 million acres in the Ozark Mountains of northern Arkansas. The forest is home to dense wilderness, Arkansas’ tallest mountains, and the Blanchard Springs Caverns. If you love hiking then you will want to lace up your hiking boots and hit the 218-mile Ozark Highlands Trail. There are mountain bike trails galore throughout the National Forest, including the famous IMBA Epic Upper Buffalo Headwaters Trail. The Buffalo National River is the crown jewel of the region stretching over 150 miles of incredible waterways perfect for kayaking, canoeing, and fishing. 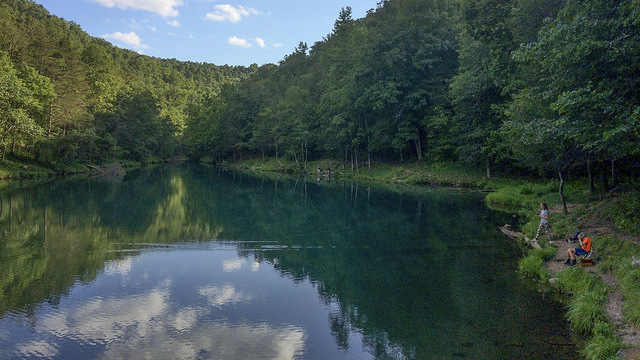 You could easily spend weeks on end in the Ozark National Forest. 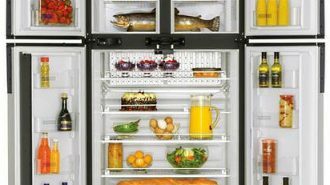 It’s an absolute must for Arkansas RV trips with kids! There are hundreds of campgrounds and RV parks in and around the Ozark National Forest. Byrd’s Adventure Center is the ultimate RV campground for outdoor lovers. Centrally located in the Ozarks, Shady Oaks Campground is a quiet, pet-friendly RV campground. The Ouachita National Forest spans over 1.8 million acres across central Arkansas and southeastern Oklahoma. Unlike the Appalachian and Rocky mountains that run north to south, the Ouachita Mountains run east to west. The hardwood and pine and oak forests on either side of the mountain slopes are home to an abundance of native wildlife and a whole host of incredible outdoor activities. 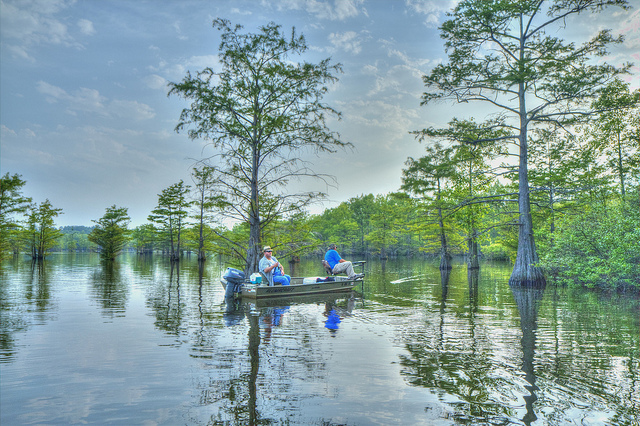 With tons of fast-moving streams and lakes, the fishing is as good as it gets in the Ouachitas. The Ouachita National Recreation Trail is a 223-mile recreational hiking trail that spans most of the park and is a popular trail for multi-day backpacking adventures. The city of Hot Springs is near so there is plenty of delicious restaurants, cafes, and bars to enjoy after a long day’s hike. Located on the banks of the 40,000-acre Lake Ouachita, Lake Ouachita State Park has 93 campsites with great amenities like full hookups, a marina, and two swimming beaches. Of course, there are plenty of other awesome RV parks on our top RV parks list in Arkansas that are worth checking out. While most people are happy to spend their lives above ground, the underground world is an incredible place. If you’re looking to escape the heat of the Arkansas then spending an afternoon exploring the underground beauty of the Blanchard Springs Caverns is a great idea. 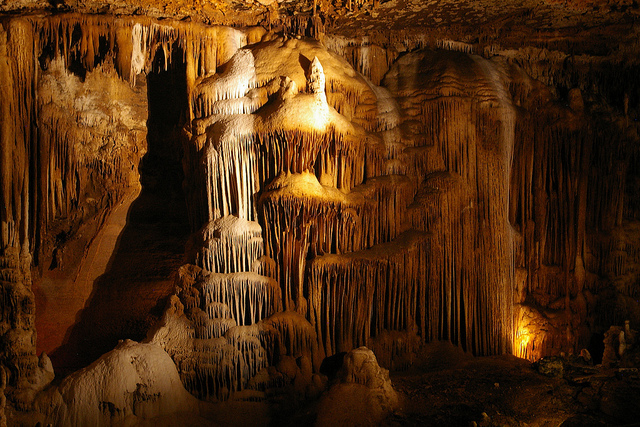 Nestled in the Ozarks, Blanchard Springs Caverns is home to crystals, mazes, subterranean lake, and more. Operated by the US Forest Service, two guided tours are offered daily through the massive “living” caverns. For those who are physically fit, try the Wild Cave tour. The Ozark RV Park in Mountain View is located just next door to the famous Ozark Folk Center State Park. This Good Sam Park is family owned and operated with 73 sites on over 10 acres. You’ll really love the vibe at this rustic RV park in Arkansas. Nestled in the heart of the Ozarks near the Missourian border, Eureka Springs is a historic mountain town with lots of character and charm. 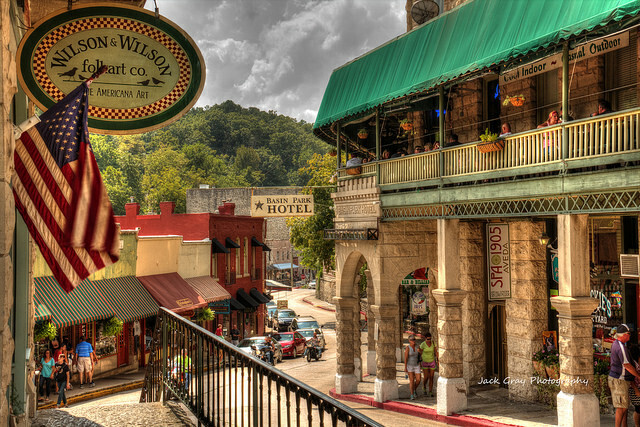 In 2014, Yahoo Travel named Eureka Springs as one of the Best Main Streets in America. With beautiful Victorian homes hugging cliffsides overlooking the surrounding mountains, you’ll never want to leave this picturesque town. You’ll find amazing shopping at the town’s many one-of-a-kind shops, art galleries, and craft emporiums. Not to mention the restaurants and cafes serve up some delicious meals. The area is also well known for its blues, jazz, and even opera. You certainly won’t go bored in Eureka Springs! 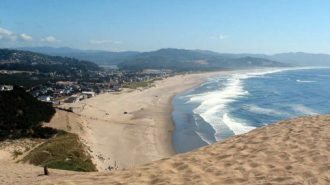 Price: Varies per activity but free to explore! Beaver Dam Cottages & RV Park is located just a hop, skip, and a jump away from Beaver Lake’s 500 miles of shoreline. It’s the perfect place to experience the best of the Ozark’s outdoor activities. 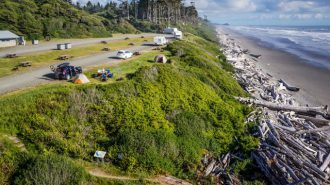 This small RV park has 14 sites that can accommodate RVs up to 35 feet long. There’s even an antique shop on the grounds! There’s always plenty of places to park your RV around Eureka Springs. 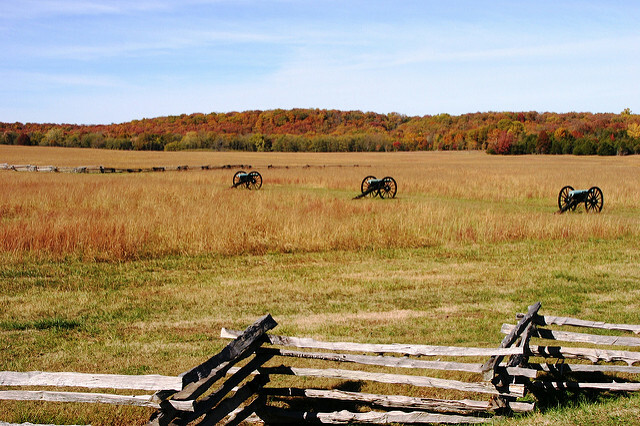 Pea Ridge National Military Park is home to one of the largest Civil War battles west of the Mississippi River. Over 26,000 soldiers fought on the 4,300-acre battlefield on March 7-8, 1862 to decide the fate of Missouri and the West. The Union Army came out on top securing control of the Missouri and Mississippi Rivers, which made it easier to supply General Grant’s Vicksburg Campaign. The Military Park has a seven-mile self-guided tour with 10 stops depicting various parts and stories of the famous battle. Military buffs don’t want to miss this incredible historic site. 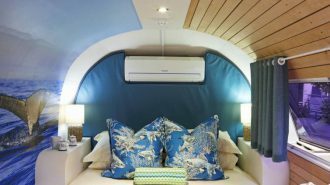 That’s why it’s on our top Arkansas RV travel tips! Snuggled amongst the oaks and dogwood trees, you’ll find the lovely mom and pop Garden RV Park. The Pea Ridge Military Park is just next door and there is tons of flea markets and antique shops selling pieces of Americana within a short driving distance. You don’t have to go on an Africa safaris to see lions and tigers! Just head to Turpentine Creek Wildlife Refuge in Eureka Springs, Arkansas. Started in Texas in 1978, Don, Hilda, and Tanya Jackson rescued their first big cat. 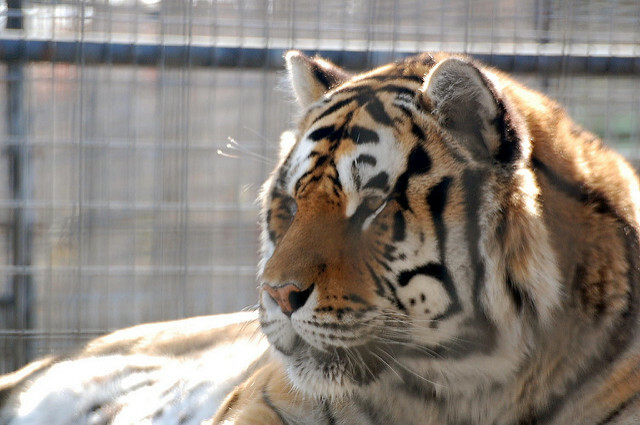 Home to over 70 animals including over 40 big cats, this 460-acre ranch is verified through the Global Federation of Animal Sanctuaries, meaning it upholds the highest standards of animal care and safety. Take a guided tour and meet the park’s lions, tigers, bears, cougars, and more. Turpentine Creek Wildlife Refuge should top your Arkansas RV trips with kids bucket list. They will talk about this place for years to come! And what’s even better than lions, tigers, and bears? 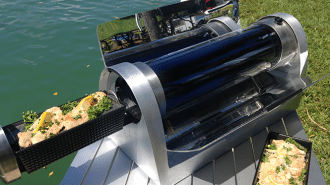 Staying in your RV in the park! The Turpentine Creek Wildlife Refuge has its own RV campground and safari lodges. 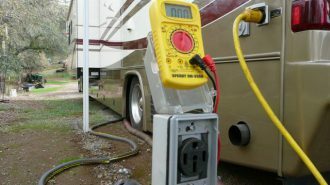 Each RV site comes with full power and water hookups. The RV park is even pet-friendly, but we don’t recommend bring your pet lion. Heifer Ranch and Village is an educational farm in rural Perryville, Arkansas. Belonging to the non-profit charity, Heifer International, the ranch provides the animals that are sent around the globe to end world hunger and poverty. 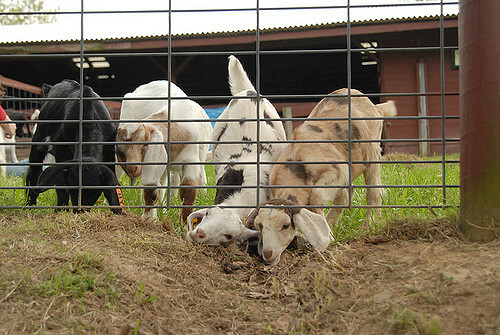 The ranch is home to goats, pigs, llamas and more. The ranch and village are open to the public to take part in hands-on, interactive programs with the goal to promote sustainable solutions to global hunger, poverty, and environmental degradation. You can learn how to milk a goat or participate in the one or two-night programs where you learn to prepare a meal with limited resources and stay in the Global Village. The Outdoor Living Center RV Park in Russellville is a Good Sam member RV park open year-round with 50 sites with half having access to full hookups. The RV park is located within walking distance to the banks of the Illinois Bayou and Shiloh Park. Nestled on the banks of the Arkansas River in central Arkansas, Little Rock is not only the political capital of the state but also the arts and culture capital. The bustling River Market District features incredible restaurants, bars, cafes, nightlife, shops, and plenty of museums to get your history fix. You’ll find the Clinton Presidential Center & Park and the Center Arkansas Nature Center. If you’re an art lover then you don’t want to miss the Arkansas Arts Center with a fantastic permanent collection and wonderful traveling exhibitions. For more history of Little Rock and the surrounding area, visit the Little Rock Visitor’s Center at Curran Hall. 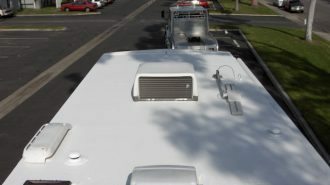 The Downtown Riverside RV Park in downtown North Little Rock is as close to the city as you can park your RV. Situated on the banks of the Arkansas River, this RV park is one of America’s most unusual RV parks. The park is home to 61 RV sites with incredible views of the city skyline across the river. 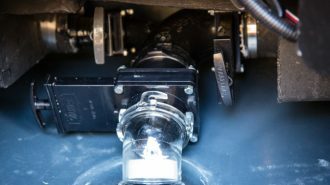 Little Rock is also home to some of the best RV dealers in the state. Ernest Hemingway is arguably one of the best American authors of all time and has written books all over the world. 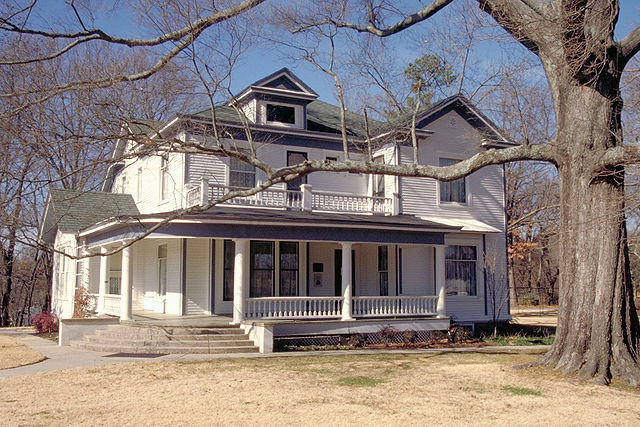 The Hemingway-Pfeiffer Museum and Educational Center in Piggott was the family home of his second wife, Pauline Pfeiffer. During the 1930s, the old barn was converted to a small studio for Hemingway to write in privacy while visiting Piggott. It was in this studio in Northeast Arkansas that he wrote A Farewell to Arms and other short stories. Today, you can visit this house museum to learn more about Hemingway’s life and life in the 1930s. The closest RV park to Piggott, Arkansas is actually in Poplar Bluff, MO. With 76 sites with full hookups for big rigs, free cable TV, and beautifully wooded sites, the Camelot RV Campground is the best place to stay near the Arkansas/Missouri border. Are you reading to head to Arkansas now? 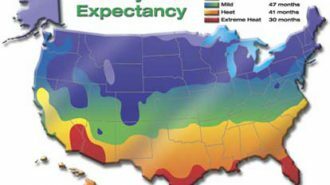 We’ve provided our best Arkansas RV travel tips to get you excited to explore the “Natural State” by a big rig. 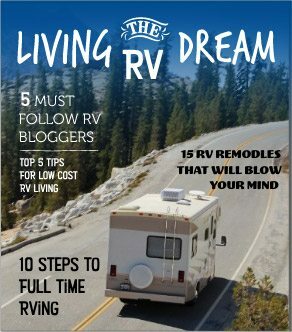 If you don’t have an RV then consider renting one with RVshare. 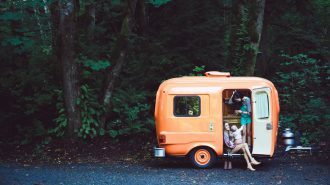 With hundreds of RV rentals across Arkansas, you’ll find your perfect RV for your Arkansas RV road trip.